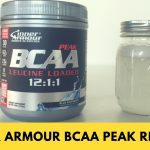 Home » Inner Armour BCAA Peak Leucine Loaded Review — Is More Really Better? 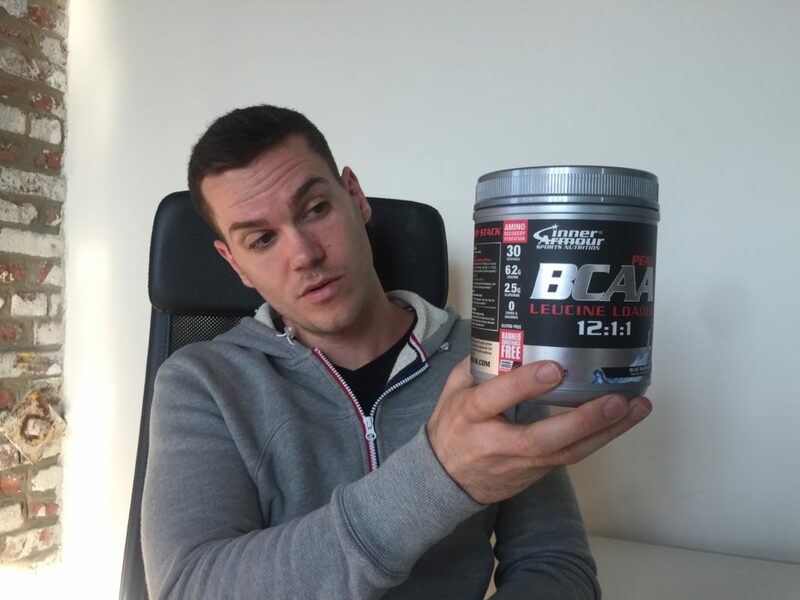 Inner Armour BCAA Peak Leucine Loaded Review — Is More Really Better? This product contains zero calories. One serving weighs 13 grams and delivers 7.2 grams of branch chain amino acids: 6.2 grams of leucine and 500 milligrams each of isoleucine and valine. The only other active ingredient is 2.5 grams of glutamine. Then there’s just the ingredients used for flavoring: the artificial sweeteners sucralose and acesulfame potassium, citric acid, and natural & artificial blue raspberry flavor. There aren’t many ingredients to talk about here; it’s a very basic product. It has the three main branch chain amino acids leucine, isoleucine, and valine, which have been linked to improved muscle retention, endurance, and focus during a workout. 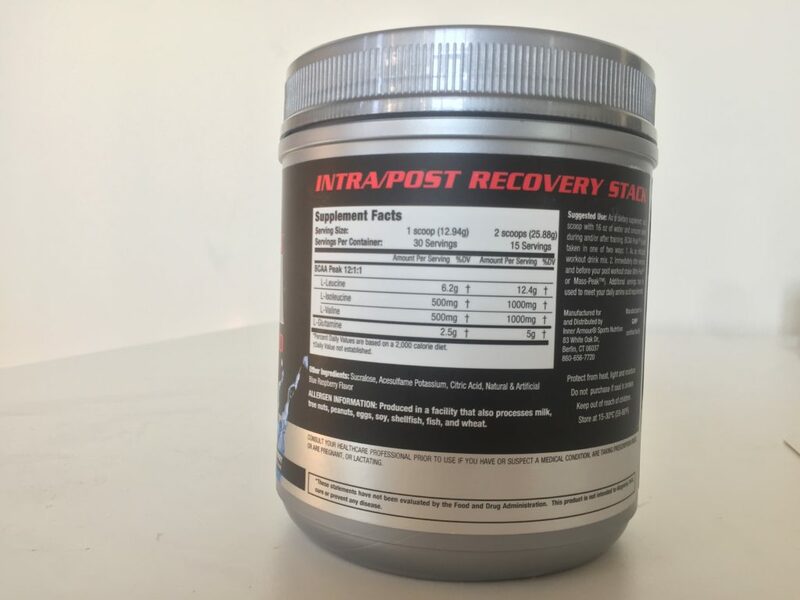 What’s most unusual about this product is that it’s much higher in leucine than other BCAA supplements, which typically stick to a 2 or 3:1:1 ratio of leucine, isoleucine, and valine. Inner Armour Peak BCAA has a 12:1:1 ratio. The reasoning given is that leucine is the amino acid that’s most responsible for muscle protein synthesis, so it stands to reason that a BCAA supplement that’s very high in leucine would be better at stimulating muscle growth. That sounds good in theory, but studies have found that for whatever reason, muscle protein synthesis is higher when study participants stuck to a more conventional BCAA ratio than a very high leucine blend. The only other ingredient is the glutamine. A lot of people see glutamine as a muscle building amino acid, but supplementation doesn’t appear to be that useful with otherwise healthy adults. It’s already the most abundant amino acid in the body and went supplemented, it looks like most of it winds up stored in the gut. You can pick up 30 servings for $45, which comes to $1.50 per serving or 21 cents per gram of BCAA. If there were a lot of vitamins, citrulline, beta alanine, agmatine, or any other extras, BCAA Peak Leucine Loaded wouldn’t appear that expensive. But for what you get with this one, I think it’s a bit on the pricer side. I tried the Blue Raspberry flavor, which was a little unusual. It tasted a lot like a blue raspberry-flavored candy (which is typically just raspberry and a little vanilla), but it wasn’t as sweet as I was expected. To be honest, it tasted a little chalky, and it stuck to the inside of my mouth a bit more than usual. I was mixed on Inner Armour’s product. It’s on the pricier side, and it has a lot of leucine (which research is still somewhat inconclusive on as far as how much you really need in a supplement like this), and beyond that, it’s a fairly basic intra-workout supplement.